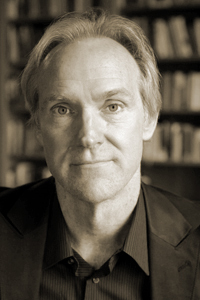 Tom Sleigh is the author of eight books of poetry, including Army Cats (Graywolf Press, 2011), winner of the John Updike Award from the American Academy of Arts and Letters, and Space Walk (Houghton Mifflin, 2007), which won the Kingsley Tufts Poetry Award. His new book, Station Zed, is forthcoming from Graywolf Press in 2015. He is the recipient of the Shelley Memorial Award from the Poetry Society of America, a fellowship from the American Academy in Berlin, an Arts and Letters Award from the American Academy of Arts and Letters, a Lila Wallace-Reader’s Digest Writers’ Award, a fellowship from the John Simon Guggenheim Memorial Foundation, and two grants from the National Endowment for the Arts, among others. He teaches in the MFA program at Hunter College.